The variety of topics I write about for work means my job is always interesting and two days are never the same. This morning I met with a Chi Kung Therapist and Reiki master no less and it made for a very interesting few hours. Reiki is something I knew little about and because the practitioner in question has a feature coming up in the December issue of Aspire, I visited him at his home clinic to find out more. I’ll be honest and say that I was erring on the side of cynical at the start, though I am always open minded and willing to listen to opinion. 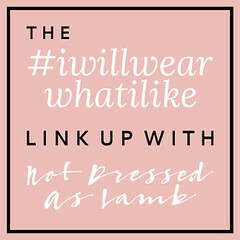 I am also prepared to try most things especially for work. So, I was prodded (gently) with fine copper rods on various acupressure points whilst sitting in a comfy chair and listening to relaxing music for half an hour. And it was good. Not great because the rods gave me a little discomfort in some places for some of the time, but good. I’ll write a full review once the piece is out in print in Aspire at the end of November, but the feedback I got at the end was fascinating, accurate and rather thought provoking. It was particularly impressive, because other than my name and date of birth, I left the pre-treatment medical history and lifestyle questionnaire blank, having no particular worries or concerns. My cynicism has made way for a new found respect of ancient methods and I’m a little bit in awe of it. The weather was wet and windy for most of the day, so time to bring out the waxed jacket. This one was from Laura Ashley two or possibly three years ago and I always enjoy wearing it. The diamond shaped quilting on the jacket is echoed in the detailing on my Chelsea boots, detailing that makes them a little bit different. 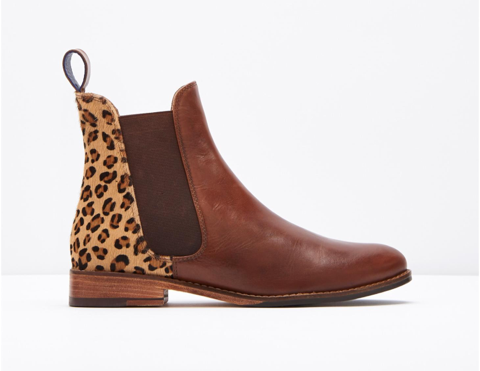 And for something even more different, (and I love both of these), how fabulous are these Westbourne Chelsea Boot with leopard detail from Joules? 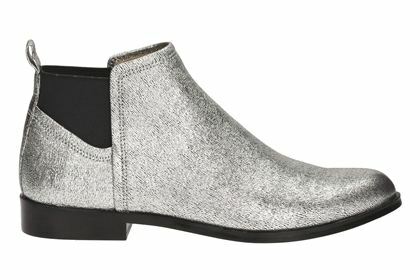 And the Bizzy Beat from Clarks which ticks all the boxes when a silver Chelsea boot is sought after.